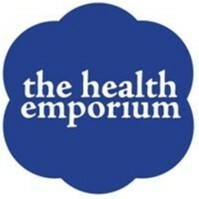 The Health Emporium joined our Mission to help provide access to “Clean Water for All by 2030”. This Mission was initiated by the United Nations. A big thank you to The Health Emporium’s team and customers for joining this extremely important mission on 13 March 2018. Started back in 1996, The Health Emporium is still a family owned and run local business with the aim of to providing as much variety and choice as possible for all things organic, wholesome and healthful. The Health Emporium offers organic fresh fruit and vegetables, an organic cafe/juice bar, natural cosmetics, vitamins & herbal supplements (including practitioner only products and in-store naturopaths), organic chicken and meats, wild-caught fish, sourdough breads, organic dairy products and cheeses, baby products, natural cleaning products, organic bone broths, fermented/probiotic foods, and a wide range of groceries and bulk foods. Our cafe offers a large selection of locally famous superfood smoothies, classic fresh juices and nourishing hot bone broth. Choose from a carefully selected raw and sugar free sweet treats and cakes. Don’t forget Cocowhip, an organic coconut based vegan soft serve ice cream without all the nasties!